As you may or may not know, I’ve spent the last month or so trying to convert from XP to Vista with mostly good results. 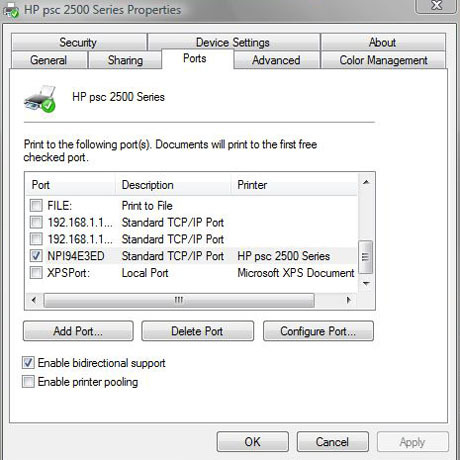 One new Vista problem I’ve been having is my HP SC 2500 network printer keeps going offline and I’m not able to get it back online without deleting and re-installing it. The “properties” shown below is the result AFTER I fixed the problem. Above the line with the checkmark is the original PORT with the absolute IP address. 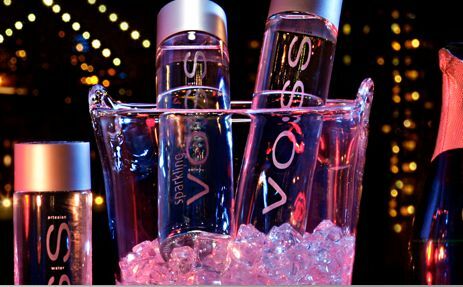 This is what was originally selected. Click on the “Add Port…” button shown below. Now, you have to find out what the Port Name is for your printer. 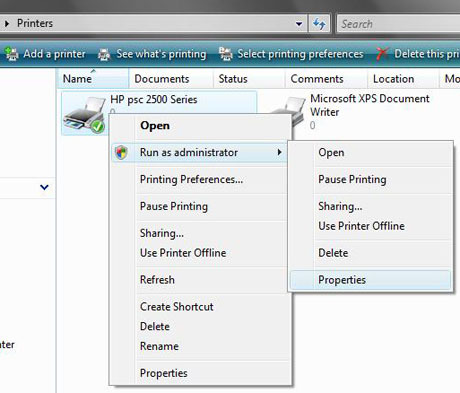 With the HP printer that I have, you push the “Setup” button, then go through the menu to find the “Network” configuration print operation. 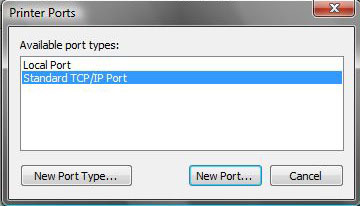 This will print out the Network settings, including the Port Name. 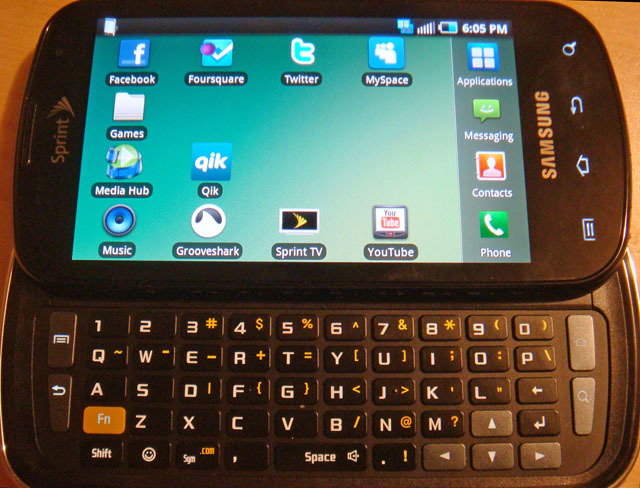 Enter that name in the “Port Settings” as shown below. 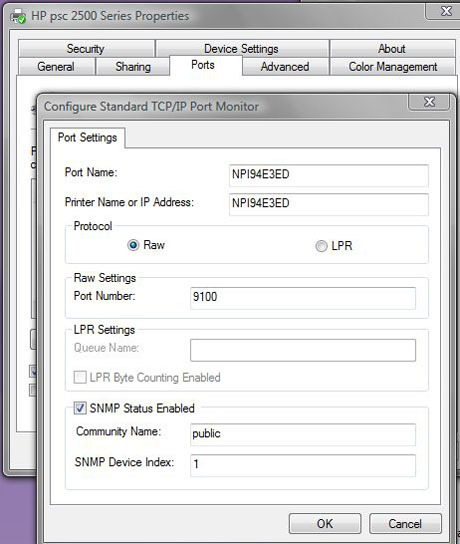 Set the “Protocol” to “Raw” and Port number to 9100, and turn on SNMP status. That’s it! You’re done and your network printer should now be “online” properly. Why do you have to do this when it wasn’t needed in XP? That’s how Microsoft is trying to improve your experience with their new OS. Thanks Microsoft for a job well done. NOT! Nice blog about printer. I have a lot of problem with my office printer. I’m IT support and need to solve any problem. 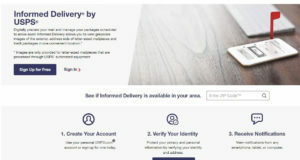 Do you have any suggestion about printer troushooting guide site? Thank you very much. 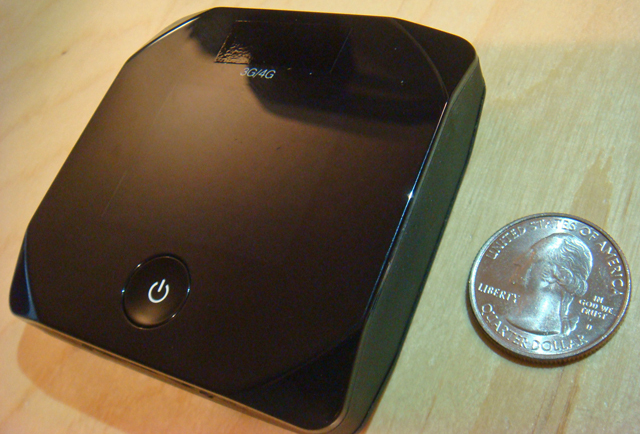 I don’t have one specific website because it depends on the printer make and model, as well as the OS you are using. I feel for you man. It’s a nightmare. my solution to this issue was to verify that the network security key passphrase was entered correctly in the wireless printer settings. Thanks. I'd been battling this problem with my dell 2330d printer (with a wireless printer adaptor) for months. In my case, and for others with a similar setup, note that: Your priter itself, as in the above instructions, won't give you the info needed regarding network configuration. This info (the IP address) is in the wireless adaptor. You'll need to get the IP address with the 'Set IP Address Utility' which should be here: Start/All Programs/Dell/Dell Wireless Printer Adapter 3300/Set IP Address Utility. From there I changed the adapter IP address to a higher number (suffix .112) as suggested on another article addressing this problem. Then I followed the above instructions with said new IP Address entered in 'Port Name of IP Address'. Then I was back online. I had the same problem, but found out a different solution. My printers were off-line because I was setting them up or ADDING' them through the laptop itself and not through the router. Your notes were cerintainly good inspiration, and now I'm happy to share my results for the benefit of you all (I struggled to get this resolved for almost a week).. Don't give up! Thanks for sharing your own experience. Just as you put it, don't give up! Good advice.